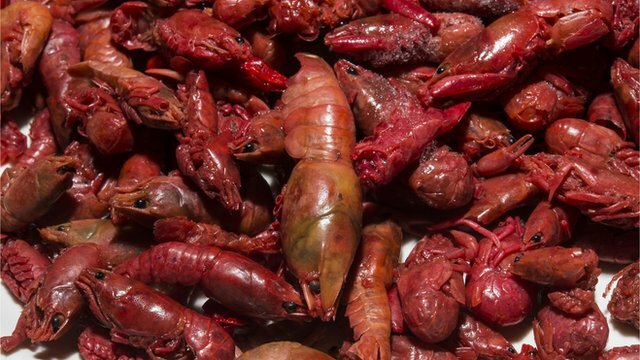 Chinese people have found themselves in a new food fad: the crayfish over the past few years. Many cities in East China, including Shanghai, Nanjing, Suzhou, have increased consumption for the freshwater shelled fish. Crayfish restaurants and crayfish farms are booming. State media says consumption in the city of Nanjing of the little freshwater crustaceans has soared by 20% a year. For the latest in our Taste of Asia series, we hear from two sisters in Shanghai - another city that's gone crayfish crazy. The huge potential for China's medical device industry is contributed by a booming economy, a rising health awareness, an aging population, a continuous upgrading of medical devices, and a year-on-year increase of investment in China's medical device industry. As one of the biggest medical device industrial base in China, Jiangsu is becoming the most important market for the local and overseas medical device companies to invest. A troupe of Chinese artists from Soochow University in Suzhou City of eastern China performed Chinese dances, songs and operas here on Thursday to celebrate the 10th anniversary of the establishment of the Confucius Institute. The event, co-organized by the Cambodian Ministry of Culture and Fine Arts, was held at the Chaktomuk Theater in Phnom Penh, the capital of Cambodia, and drew about 500 spectators. Chris D. Nebe, an American film director, has shot 10 documentaries in China in the past couple of years, one of which is for Jiangsu that was made in association with Tina Yao of L&D Media, possibly naming: Land of Fortune. He mentioned this documentary with media and in his website. His films have brought multiple awards for him over 2014 and 2013. According to Nebe, he will allow more international guests to understand its beauty and then encourage them to invest in Jiangsu. “I believe that the 19th century was the century of England, and the 20th century was the century of America, and the 21st century is a century of China,” said Nebe and added that the investment environment in Jiangsu is excellent. He plans to travel throughout Jiangsu and China to shoot these films. This week, BMW AG joined other Germany auto companies, including Daimler AG’s Mercedes-Benz unit and Volkswagen AG’s Audi brand, in reducing prices of spare parts in China amid an antitrust investigation into the auto industry.